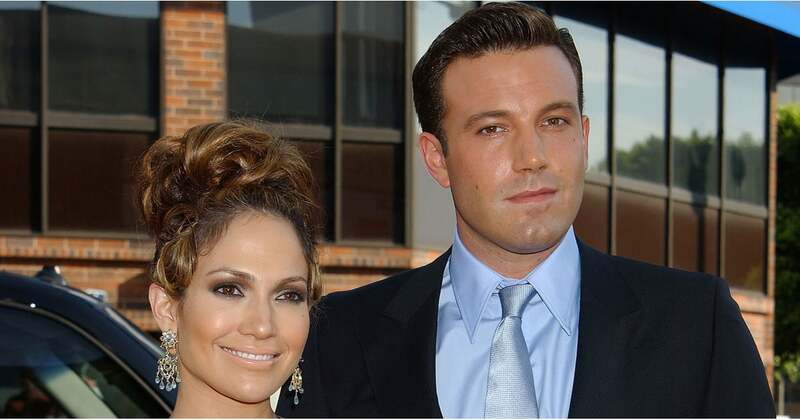 Once you’re in the public eye, it’s kind of expected that most things that would normally not be ‘out there’ will suddenly be ‘out there.’This is the case of almost every celebrity marriage out there and Ben Affleck’s marriage is definitely one of them. Today, it’s about all things ‘relationship related’ when it comes to the actor, from his relationship with JLo, to his current ‘ It’s complicated’ status. The actor has been in his fair share of relationships, but it was his connection with his Daredevil co-star, Jennifer Garner, that stuck. The couple first met in 2001, on the set of Pearl Harbour, but their defining meeting took place on the set of Daredevil in 2003, and their relationship was the only thing that made it out alive of that movie. The next year, the couple was spotted together at the Boston Red Sox’s opening game, and that is when the tongues legitimately started wagging. It wasn’t a ‘crazy in love’ thing, in fact they often enjoyed quiet moments together and were often caught on camera doing that. They seem to have an ‘annual milestone’ dynamic going on because by the next year, Ben proposed to his lady love and a few months later they got hitched by the seaside, during a very private wedding ceremony in the Caribbean, which was officiated by Victor Garber, Garner’s Alias co star. That same year in December, Jen was telling InStyle, ‘You know how as a kid you picture yourself with a tall, handsome husband, and you imagine him cuddling your baby? Ben is like that, like, on crack.’ It was evident that someone was at least 2 months pregnant during their wedding, as they welcomed their first daughter, Violet Anne Affleck into the world. Their second daughter, Seraphina Rose Elizabeth Affleck, was born sometime in January, 2009 and this new development did not put a dent in their romance, they were still cuter than ever. Apparently they were still in the baby making business, as they welcomed their son, Samuel Garner Affleck in February, 2012. It was in 2015 that Ben Affleck’s marriage shattered, and we have got all the juicy details. It was late in 2015 that the couple announced their intent to get a divorce, after 10 years of marriage, it all came tumbling down. They made the effort to keep the split amicable and smooth for the sake of their relationship as co parents and for their kids. Then came the drama, rumors started circulating about infidelity on Ben’s side, though the pair denied the claims, their nanny, Christine Ouzounian ( the other woman), did not hesitate to milk the story. Soon, private photos of the nanny hanging out with Affleck and Tom Brady aboard Brady’s private jet surfaced, that just made everything even more awkward. Ben and Jen (that’s so fun to say), have risen above the rumors and nay saying, as committed co parents and they have been spotted together on more than one occasion, going about their usual business, without the romance of course. Never say never though, the couple is still married, they both still wear their wedding bands and they currently still stay in the same house. Also they were paying frequent visits to their marriage counselor, if that is not a recipe for reconciliation, we don’t know what is. Before he was Jennifer Garner’s man, Affleck was involved with quite a few Hollywood ladies. His most notable exes are Gwyneth Paltrow and Jennifer Lopez and both relationships had a tangy end to them. After her relationship with Brad Pitt ended, Gwyneth met Ben at a dinner thrown by studio mogul Harvey Weinstein and soon after they found themselves as co stars in the movies Shakespeare in Love and Bounce. Like every relationship out there, they had their ups and downs, but ultimately the relationship went down the drain. Gwyneth added to the drama by saying, ‘his perfect woman would be ‘any sort of stripper at Scores. Anyone that serves cold beer in a bikini.’ Despite their passive aggressive hits at each other, the stars are still quite friendly. Even more dramatic than his relationship with Gwyneth, was his romance with Jennifer Lopez in 2002. They met on the set of the mobster comedy Gigli, and though the movie did not get much attention, their relationship did. They were constantly being ogled by the media and that was enough to make anyone snap. According to JLo, it was the media circus and glare of the public eye that Hollywood star Ben couldn’t deal with, she on the other couldn’t deal with some of his vices; as someone who rarely drinks, doesn’t smoke and likes to get to bed early. At the end of it all, Lopez stated that she had never had her heart broken the way it was after they broke up. Hopefully, the actor will be able to salvage what is left of his marriage, it would be a shame for Ben Affleck’s marriage to go down the drain.